On arrival at Port Blair, our representative will meet you at the airport and take you to your hotel where you can rest or explore Port Blair on your own. After lunch, you will be take to Corbyn’s Cove Beach, which is spectacular beach, and then to the Cellular Jail for the mesmerizing light and sound show. Then you will proceed to your hotel and enjoy an overnight stay at Port Blair. In the morning, after a sumptuous breakfast, you will be taken to Port Blair Harbor. You will board either a luxury cruise ship or government ferry to go to Havelock Island, which is about 57 km from Port Blair. The cruise takes 1.5 hours while the ferry ride takes approximately 2.5 hours. Havelock Island was named after a British army officer and offers world-class facilities for scuba diving and snorkeling. The island is well-known for its crystal clear waters teeming with marine life and white, sandy beaches. On arrival at Havelock Harbor, our representative will greet you and facilitate your check-in at your pre-designated hotel or resort. Then, you will be escorted to Radhanagar Beach, which has the distinction of being the seventh most beautiful beach in Asia. The beach is safe for swimming or you can just sit and absorb the mesmerizing beauty of the surroundings. After breakfast, you are free to explore Havelock Island on your own. Late afternoon, about 4 pm, you will return to Port Blair as the cool sea breeze ruffles through your hair and you get mesmerized by the changing colors of the sky and watching flying fish and dolphins wish you goodbye. After a delicious breakfast at your hotel, your Port Blair city tour will begin. You will visit Marina Park; Joggers Park; Chatham Saw Mill, which is the oldest and largest saw mill in Asia; Forest Museum; Mini Zoo, which houses rare indigenous birds and animals of Andaman; Anthropological Museum; Naval Museum and Fisheries Museum, which gives you an opportunity to get close and personal with the marine life of Andaman and Nicobar. The tour will culminate with a trip to the Water Sports Complex. After a delicious lunch, you will be taken to Chidiya Tapu to experience one of the most beautiful sunsets in the world at the beach. You will stay overnight at Port Blair. After breakfast, you will be escorted to the airport to board your flight to the mainland. Andaman tour packages allow you to explore the unspoilt beauty of the Andaman Islands, which are archipelago in the Bay of Bengal. Visitors come to Andaman to revel in the crystal clear waters, explore coral reefs and also see the life and culture of some of the islanders. It can be an amazing experience to relax at the palm-fringed beaches, lie on white sandy beaches or explore tropical rainforests and mangroves teeming with wildlife and avian life. 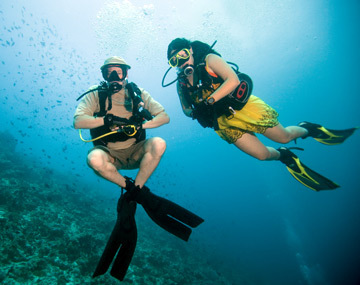 You can even go snorkeling and scuba diving as a part of your Andaman Nicobar holiday package. A holiday should never be stressful and should defeats the purpose. That is why you should check out attractive Andaman Nicobar tour packages. We handle all aspects of your holiday, right from airport transfers and hotel check-in to thrilling tours and knowledge about each area. We go out of our way to ensure your holiday is memorable, so that you can cherish the memories forever. The icing on the cake is that our Andaman Nicobar tour package is competitively priced that you love it! Check out timings at most hotels in Port Blair and Havelock Island is 09.00 hours. Late checkout is possible just on availability, though you can avail late checkout by paying 50 per cent of the room charges. Andaman the beautiful island.,I had gone to see the light and sound show that was in the Cellular jail. The story that they narrated & presented was so touching. Thank you Bookotrip !!! !